This topic contains 0 replies, has 0 voices, and was last updated by neeru 5 months, 1 week ago. 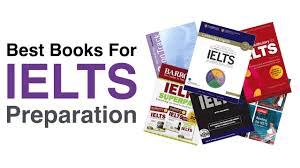 I took my IELTS (Academic) LRW exam on 10th November in Ludhiana (India). Task 1: pie chart based on workers working in Australia. 3 categories born in ESC ( English-speaking countries, NES ( Non- English- speaking countries) and Australia. ESC 14%,NES 10%and Australia 76%. There was also a line graph showing downward trend for all the same categories and were unemployed. Quality of life in large cities is becoming worse. What are the causes and solutions? I bought your Advanced writing essays too and would recommend everyone to purchase. They were very useful. Q1 Where are you from? 2. Do you live in a house or apartment? 4. Would you like to change your home in future? 1.Which is better paper map or electronic map? 2 Have you ever used map for locations? 3. Have you ever used map as a child? 4. Do you take help from people to know about the directions? When and where you heard? 1. Did you save money when you were a child? 2. Were you helping family in money? ( Asked for clarification) It was actually helped in keeping money to some particular place. 1 Difference between traditional and modern music? 2. What sort of music during parents time and now? 3 Do you feel music today is good? 4. How music is helping human beings throughout the world. I don’t remember one question related to music. Overall, it was good. In every question examiner stopped me to speak. He was smiling throughout the speaking test. I made a mistake in Writing task 1. I wrote about 230 to 240 words, but I wrote as per your guidelines(introduction, overview and 2 paragraphs) with linking words and comparison. Used brackets also. Another mistake in writing task 2 was I wrote 1 cause and 2 solutions. I wrote about 290 words. Essay included introduction, Paragraph 1 cause with supporting idea and example, paragraph 2 with 2 solutions and then conclusion.